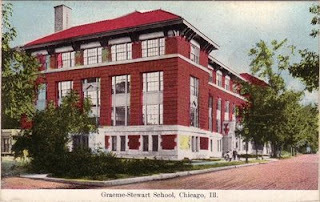 Trivia: Before he moved to Park Ridge, and long before he went on to Hollywood to star in such films as Star Wars, Indiana Jones, Bladerunner, American Graffiti, and Patriot Games, Harrison Ford lived in Chicago and, along with his brother Terry, attended grade school at Graeme-Stewart Elementary. Does anyone out there know if G-S has any other famous alumni or attendees? We wonder what Harrison would say if he stood in that exact location to view this school nowadays? We wonder what he would notice has changed. What year did harrison ford attend? Harrison Ford is in good company: I am an archaeologist & I knew another who went to Graeme Stewart. I was there only for 1st-2nd grades, about 1942-1943. Harrison was born july 1942.